An underrated gem of the '70's. Strong songs. Three huge hits and the remaining songs all stand on their own. This album had such an impact on me as a young teen. Listening to it takes me right back to summer camp in 1978. 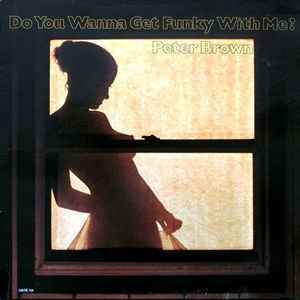 Front cover title appears to be "Do You Wanna Get Funky With Me?" but back cover and labels show "A Fantasy Love Affair" as the title. The overall mastering is solid here. After all, RHINO did this, although there is no mastering credit. A shame they didn't use the original cover though! One thing that should have been caught, there is a digital "pop" right before track 1 starts. Cannot believe they didn't catch this. This music no longer the norm, as crappy music took over. I love 'Dance with Me' and I hate the 70s are over. Lovers of vintage synthesizers and electronics will not be disappointed at the amount of lovely, fat analog synth timbres on this album. Nor should they be disappointed with the good - no - GREAT songwriting talent that went into its production. I don't know why this level of musicianship is no longer the norm and hasn't been for nearly twenty years - but at the time of this album, this was considered "fair" skill-wise. My personal faves are "Do Ya Wanna Get Funky With Me" (GREAT vocal layering), "You Should Do It" (Awesome bassline and jumpy all-around), and "Without Love" (Was this techno? AWESOME synth textures!). The rest of the album can certainly hold its own. I would strongly consider a good listen and take note of what music-making once was. Still very relevent in electronic music.